A recent blog post about Anitra Lavanhar taught me yet another lesson about losing a child. 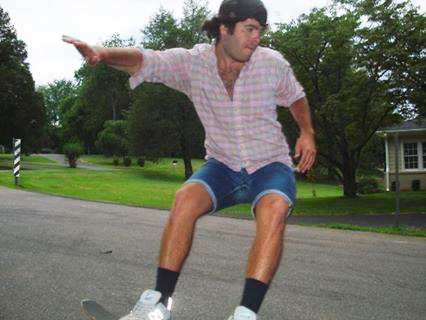 I’ve learned a lot in the four months and one week since my son Thomas died at age 29 in a fall from his skateboard on a steep hill. Anitra has had a longer time. Her daughter Sienna died nine years ago at the age of 3 after a virus. I knew, of course, that most of us try to promote the birth of something good out of the death of a loved one. I grew to understand also that one reason the loss of a child is so hard to bear is that we always feel responsible, even after our child has become an adult. It’s there in the lyrics to Summertime: “…there ain’t nothin’ can harm you with Daddy and Mammy standin’ by.” We never stop trying to live up to those words and stand by our children. But, as much as we’d like to believe the lyric, we also know that it’s impossible to protect them, and we hate it when that truth reasserts itself. Many friends told me that the death of one’s child upsets the natural order of things, and that’s the part that I didn’t get until I read about Anitra and Sienna. It has to do with legacy. In the natural order of things, our children live out our legacy. When we lose a child, it’s up to us to live out their’s. In Anitra’s case, that led to the founding of the Tulsa Children’s Museum. And her example has helped me realize that this blog is, at least in part, my effort to live out Thomas’s legacy.When I revived Mel’s Mouth last month and began turning out a post or two a day, I thought it was just my attempt to channel my grief into something good. I thought I was working on just my legacy. But now I understand that Thomas’s legacy is here as well. You see, Thomas was a thinker and a writer who had not yet found a niche and an audience. I never expressed sufficient pride in his attempts, but I know he’d be proud of me now that I seem to be finding a niche of my own and an audience. His spirit lives on in this blog just as Sienna’s spirit lives on in the Tulsa Children’s Museum. And I have Sienna’s mother to thank for shining light on that for me. For my Unitarian Universalist friends, Anitra’s husband and Sienna’s father is the Rev. Dr. Marlin Lavanhar, senior minister of All Souls Unitarian Church in Tulsa, Oklahoma, an exciting and thriving example of a truly diverse congregation. He delivered the sermon at the Service of the Living Tradition at this year’s General Assembly. If you haven’t listened to it, you should. This is so touching, thank you for sharing.